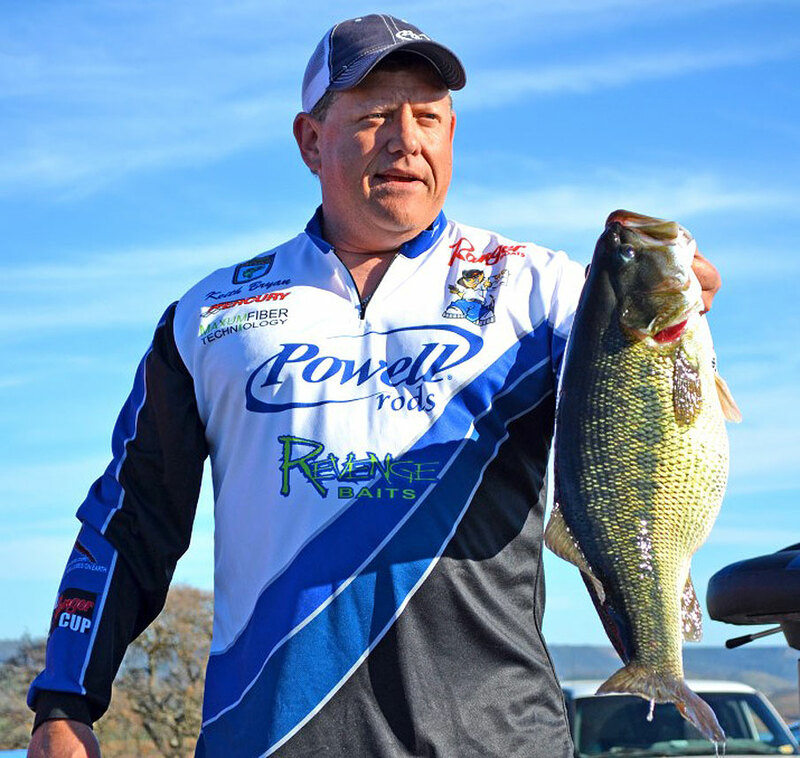 Novato, Calif. – Keith Bryan, president of Powell Rods, has officially received notice from the IGFA that his 10.48-pound spotted bass from New Melones Reservoir has been declared the new All-Tackle World Record, and eight-pound-test Line Class Record for the species. Bryan was competing in a two-day, California Tournament Trail (CTT) Pro-Am event, an event that he eventually won. The record catch occurred on the first day of the event, February 22, 2014. "I am speechless at this moment," said Bryan in a press release. "I already felt like I had lived a dream by winning a Pro-Am event that day, but to have that fish be declared a world record is something I would have never dreamed of being a part of." According to the press release, Bryan caught the bass using a wacky rigged green pumpkin purple and copper flake (color 330) five-inch Yamamoto Senko in approximately 10 feet of water. It was reported that Bryan inserted a 3/32-ounce weight in the nose and rigged it on a size 2 weedless finesse hook. He threw the rig on a 6103mef Powell Inferno spinning rod and a Shimano reel filled with eight-pound-test braided line, tipped with an eight-pound-test fluorocarbon leader. "I am so proud and humbled at the same time by this notification and I am absolutely beside myself with joy," Bryan explained. "I think it is a great thing for the entire Northern California fishing community and for California as a whole that the world record was once again broken in our state; I'm just felling so blessed that I get to be a part of it." Bryan remains realistic about how long his record will stand. "As great a spotted bass fishery as the state of California has become, I'm certain that this record will fall again soon," he said. "But, to have held this record for even one day is a dream, and an accomplishment that any angler should be proud of; it is something that I can say for the rest of my life, that I caught a World Record spotted bass. This has truly been a dream come true."